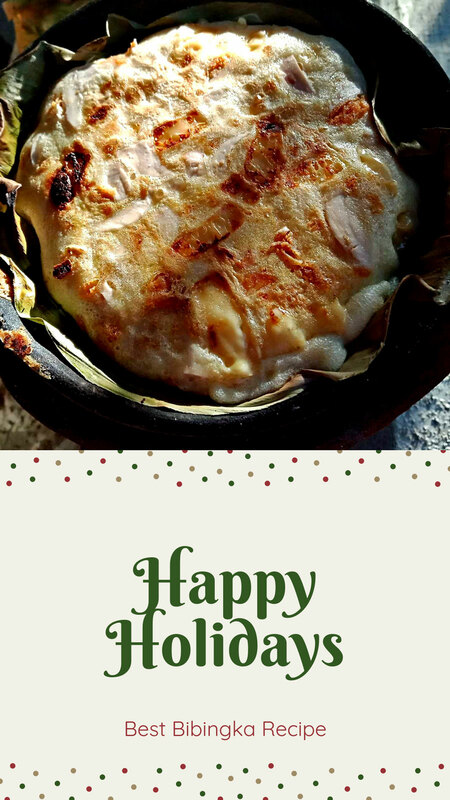 Philippine's version of bibingka is a type of rice cake or rice dessert made from fermented glutenous rice. After mashing the rice using stone mill, it will then become a galapong (a rich and thick rice paste). Unlike puto which you use steam to cook it, the process in cooking bibingka is by baking it. It is commonly eaten for breakfast, especially during the Christmas season. Simbang Gabi or Misa De Gallo (Night Mass) would not be complete without bibingka and puto bumbong. These two popular Christmas food commonly sold outside the church right after the mass where patrons or worshippers are craving for something to eat for breakfast. In some regions of the country, they consume bibingka with hot salabat (ginger tea) or kapeng barako (a strong and native brewed coffee from Batangas region). While the kids prefer it with hot chocolate beverage. I myself prefer to eat it with a large cup of brewed coffee. The classic bibingka refers to bibingka without any toppings. Butter or margarine and a sprinkle of freshly grated coconut are enough to enhance its flavor. This variant is best for the Lolos and Lolas (elders) because it's not overly sweet nor salty which is good for their wellness. The other version is the bibingka especial. This is the one with toppings like sliced salted egg (the popular one), grated cheese, pineapple jam, pinipig (pounded immature rice grains) and a lot more. 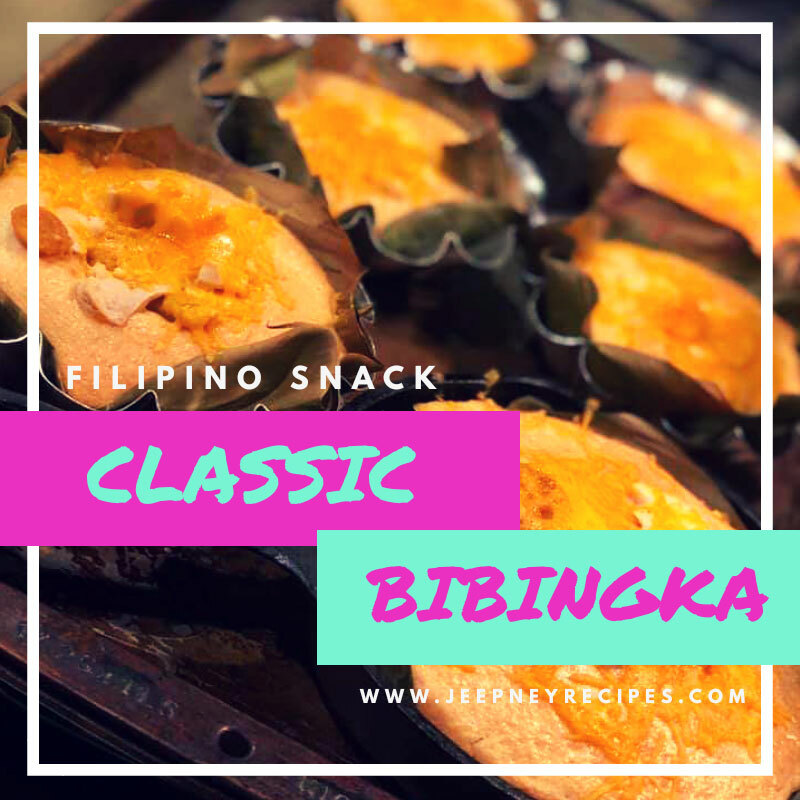 So next time you attend a nine-day novena or simbang gabi, don’t forget to grab a bag of bibingka before heading back home. 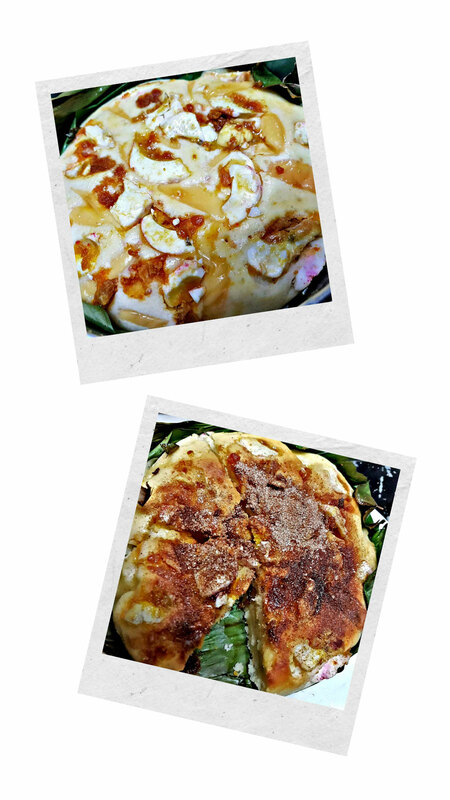 Don’t be confused with these two Philippine rice desserts. They are completely different in terms of the way they prepared and cooked. Bibingka of course, is the star in this post while the latter is the one which is similar to biko. Bibingkang malagkit is made with glutenous rice grains (soaked in water), coconut milk, brown sugar and the choice of your toppings. You will not need to grind the rice because we’re not going to make a galapong. It requires a lot of time making it (an average of 2 hours), some pots and baking pans and a long patience for stirring. The finish product is like the one below. If you think it’s easy to make a bibingka, then think again. Yeah it looks like just an oversized and thicker pancake topped with grated coconut, but I swear, to make one requires a great amount of dedication, motivation and inspiration. Why? Well, let's skip the preparation of the glutenous rice. 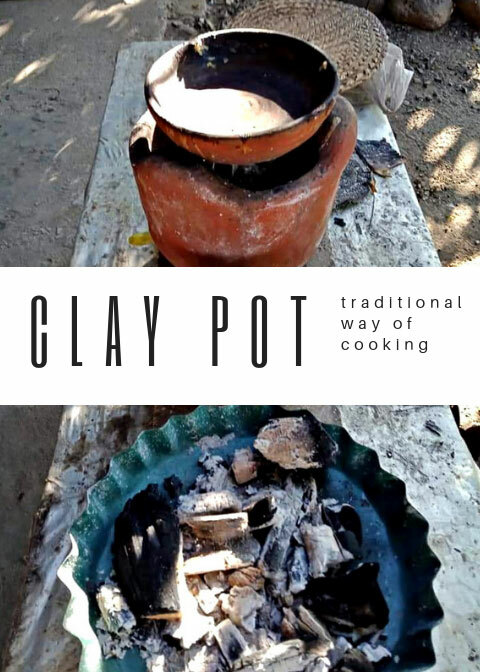 The cooking itself is a bit labor intensive, you will need one clay pot cooking set for each bibingka and to produce a batch you need at least 5 sets. Plus, you will have to maintain the heat of the charcoal of each pot or you’ll end up eating a raw bibingka. There are some who try to cook it by using an oven and do their best to mimic its authentic flavor and aroma. The end result? I think, a success. 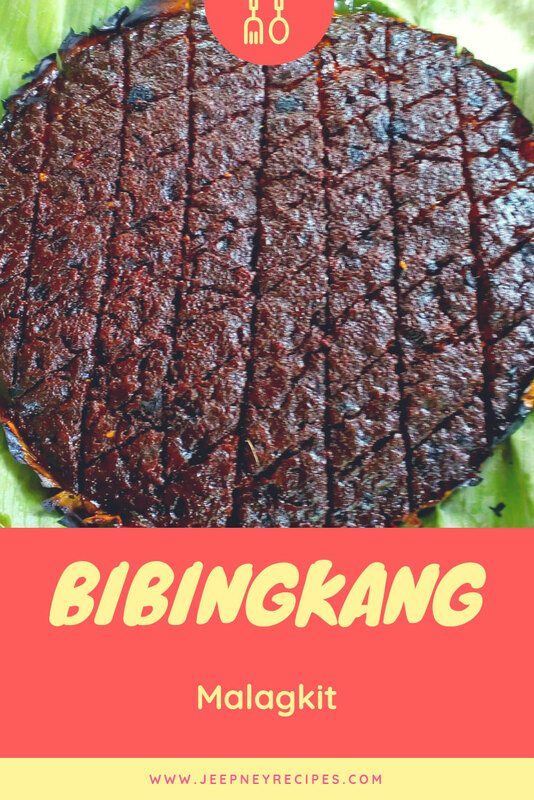 I spent days browsing through my Facebook Groups to look for the best bibingka recipe and finally I found the one that I recall is the best one. This wonderful freshly made bibingka recipe belongs to Chef Kareen Lozada Kuhry. Then try it Kabayan! In a large bowl, cream the butter & sugar. Add your dry ingredients and slowly incorporate your coconut milk. Arrange the pre-cut banana leaf on a cake pan or baking pan. Pour the mixture on the pan. Add your salted egg and grated cheese on top. Bake in the oven for 20 minutes at 325F. Brush with butter and sprinkle some sugar on top. You can also top this with grated coconut. Did you like it? 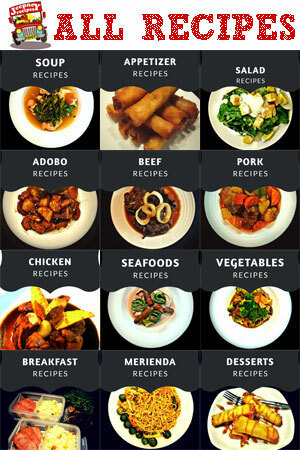 If you think this article was helpful, please help by sharing it, by inviting your friends to like Jeepney Recipes Facebook page: https://www.facebook.com/jeepneyrecipes, by subscribing to my youtube channel, by subscribing to this website, and by adding me in your circle. Thanks! Get the latest recipe here!